Lots of exciting things going on at the Studio at Contempo!! Fara Lippincott of f.a.l. design photography is running two sessions of her most popular class, Getting Off Auto. She has one Baby Signs – Sign, Say & Play class on the schedule and it *may* be her last one as the future of Baby Signs (R) is unknown, so sign up now! 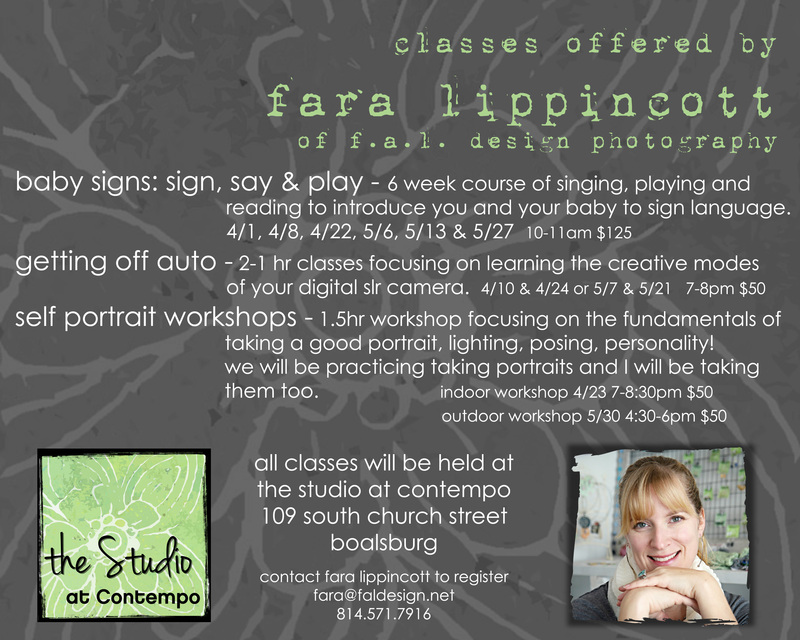 Fara is trying out a new fun workshop – SELFIES!!! Gather up some friends and get together for a Girls Night Out styled class. Wine, snacks, laughter. We’ll learn about taking good portraits and she will be taking portraits too!